May 21st, 2011. Woke up to a sunny, breezy San Francisco day. 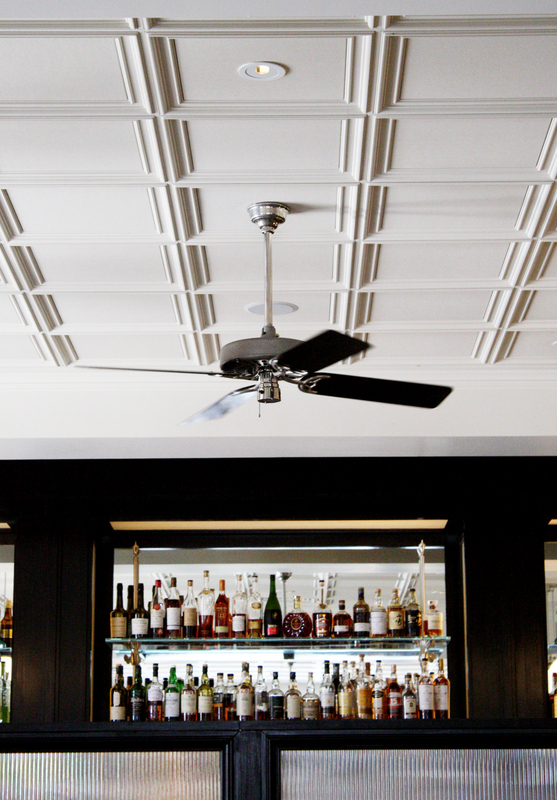 The end of the world was no where near, and @KatManalac (of Hidden Menu) was back in town. 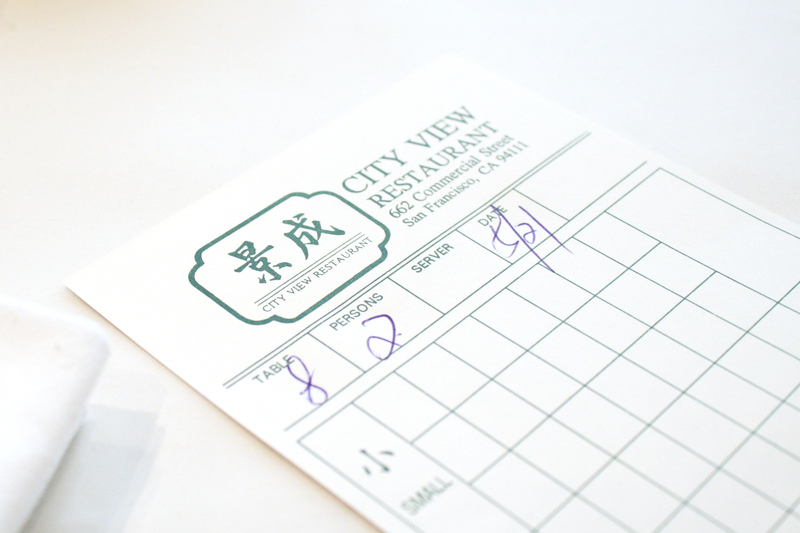 What other way to celebrate than dim sum brunch at my favorite East-of-Filmore locale: City View Restaurant! 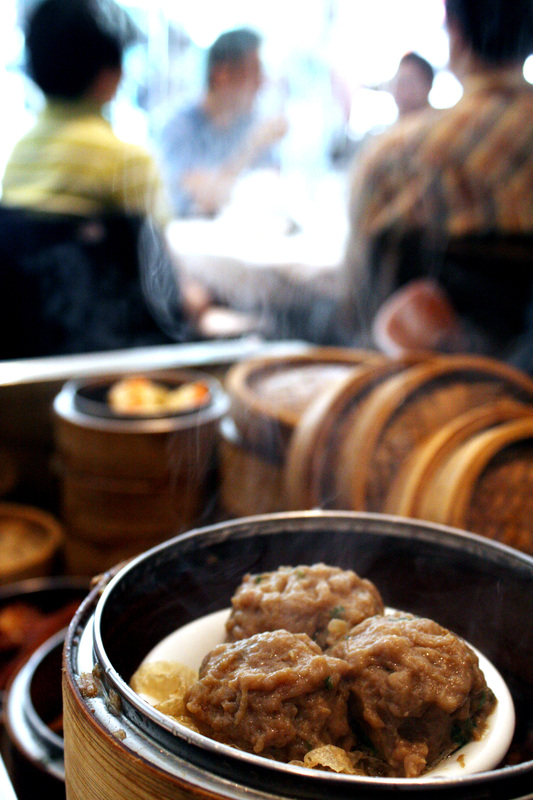 Shu-mei, shrimp dumplings, chive dumplings, soup dumplings, pekin duck pieces in sweet sauce wrapped in delicious white buns. Delicious of delicious indeed. 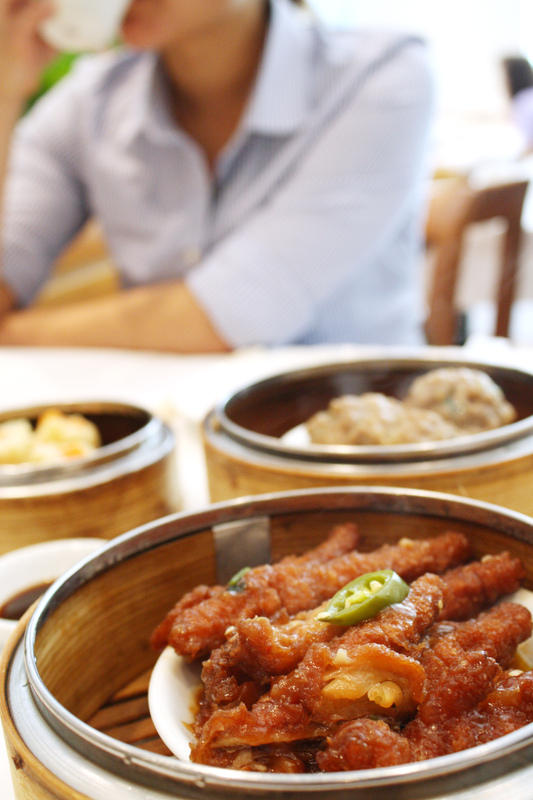 But in true weird food spirit, it is inevitable that we tackle the most infamous dim sum of them all – Chicken Feet. Being born and raised Taiwanese, again, had led some bizarre ingredients to become household products growing up. Chicken feet is one of them. My mother would buy about 30 – 40 chicken feet, stew them overnight in a soy sauce and melter rock sugar mixture, and eat them slowly while watching TV. 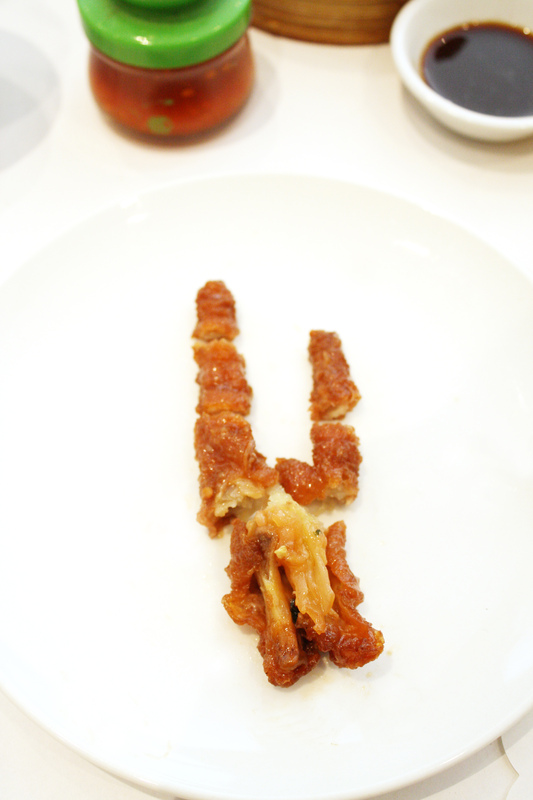 Chicken feet of the dim sum variety was slightly fancier. They were first fried to create a slight crunch, then braised in a sweet sauce (often used on sweet n’ sour chicken) with a generous amount of what looked like jalapeno and banana peppers to give it a nice kick. 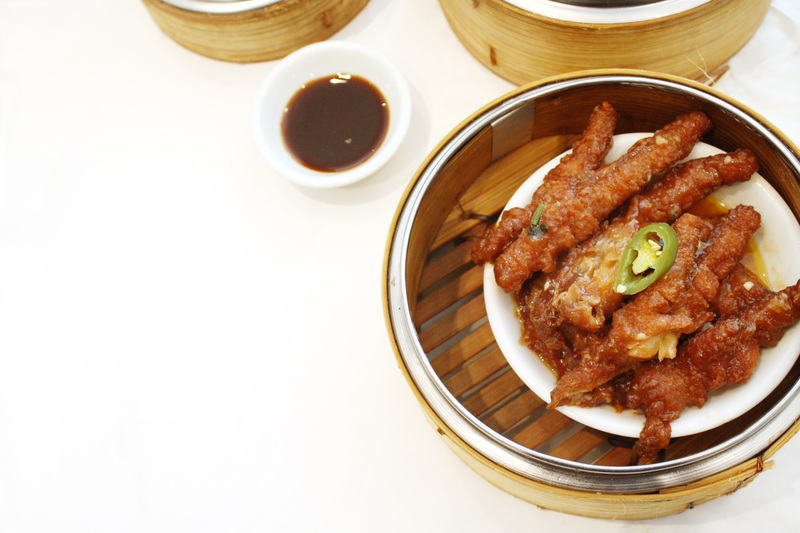 @KatManalac asked a fair question: just what is being consumed when one eats chicken feet? There really isn’t as much meat as, say, pig trotters. “It is all in the skin,” was what I told her (and a bit of the tendon, of course). 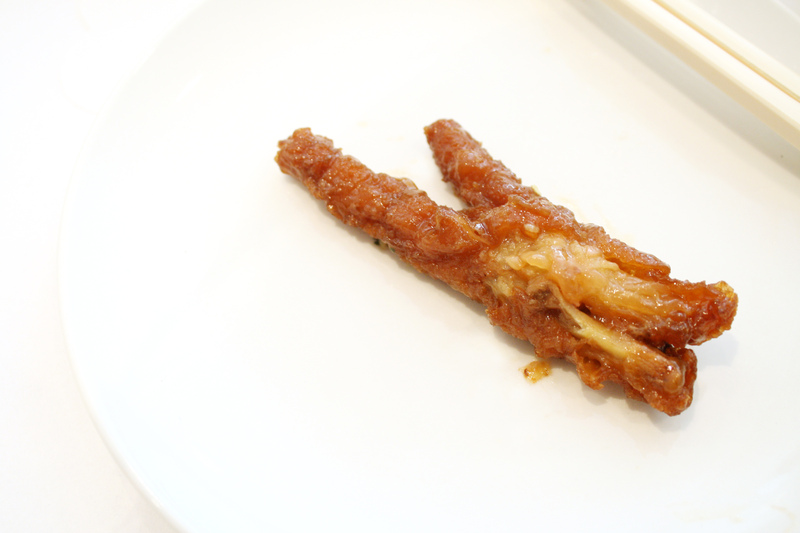 To eat a chicken foot, one would bite of the tiny pieces of bones by the joints, then eat the piece of skin around it. It was time consuming, but sort of created a fun around is – quite similar to eating sunflower seeds. 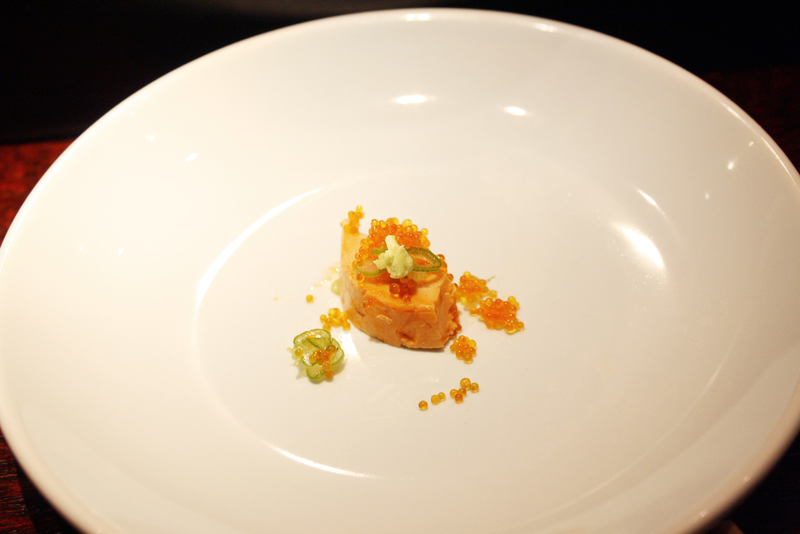 The skin was thickened from the frying, then soaked orange in the sweet and spicy sauce. It fell off the bone easily, had a crispy yet softened texture. The tendons was slightly chewy like beef tendons, but not as meaty. While it was a bit time consuming for what we got out of it, the experience itself was mildly entertaining in a snacking sort of way. And that is the point of dim sum, which in Mandarin also stands for “snacks”. You see what I just did there? No? No wonder I wasn’t saved from the Rapture. 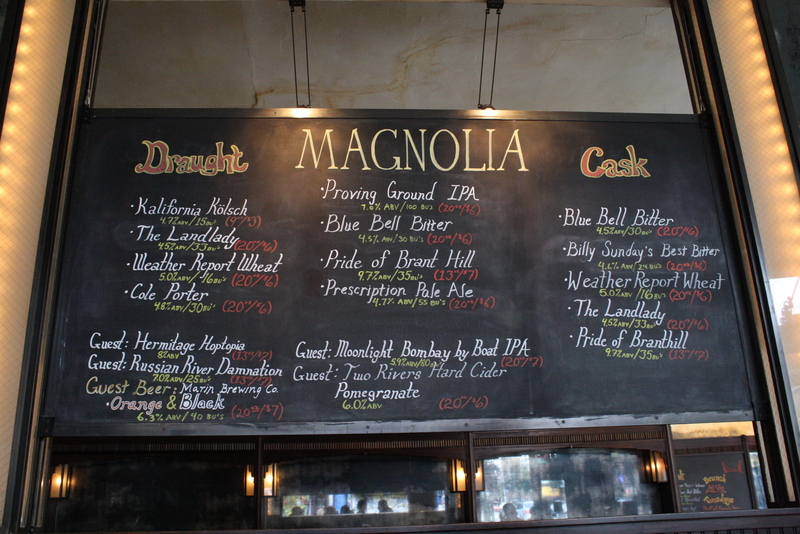 The last time I was at Magnolia was for a crawl fish boil, where I proudly demonstrated how to eat one of those suckers – head/brain sucking included. 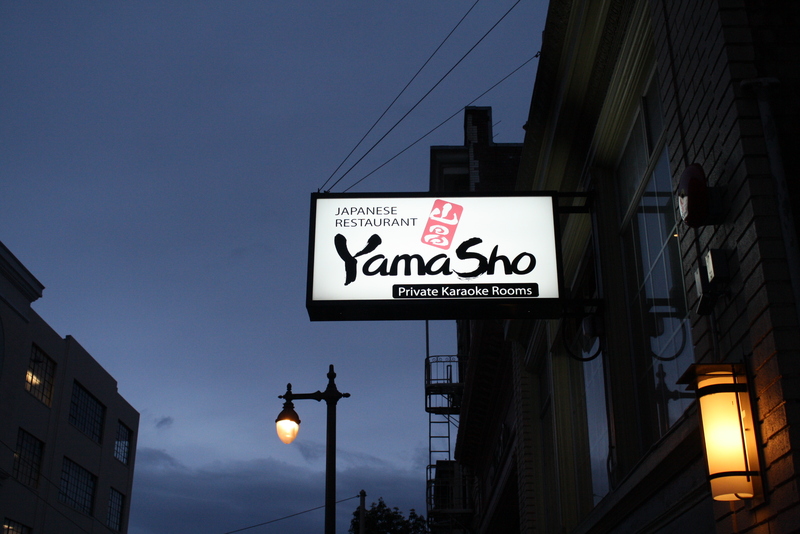 And because of that, while the Haight remains an area I scarcely venture into, this corner pub on Haight & Masonic remains in my heart a “fun eat place”. 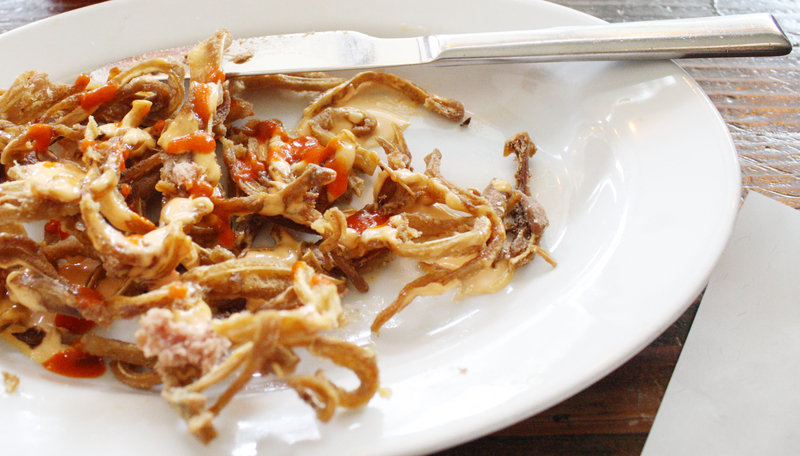 To see fried pig ears on my long-awaited return simply affirmed my belief that Magnolia is awesome. Now pig ear is not an unfamiliar ingredient for most Taiwanese and Western Chinese people. 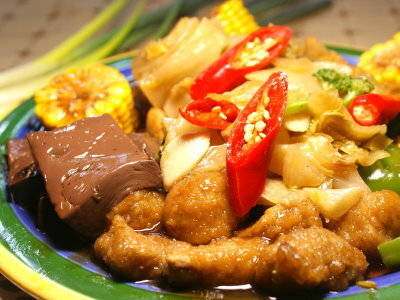 It is one of the stable “braised flavors.” The “braised flavors” are small plates consumed at local eateries, usually served with cool beer or Chinese grain liquor. 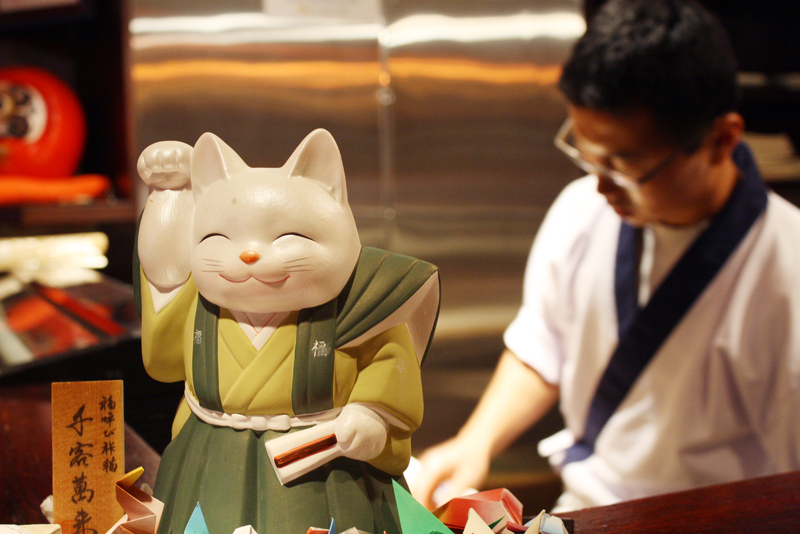 In a sense, quite similar to yakitoris at traditional izakayas; or put simply: Taiwanese bar food. These “braised flavors” are prepared with several different ingredients, then served singularly or paired according to the customer’s preference. Common ingredients include various beef, chicken and duck parts (meat, innards, feet), tofu/bean curd products, and of course, pig ears. They are usually braised in a mixture of soy sauce, sugar, grain alcohol and a few Chinese herbs, for 25 minutes to 4 hours, depending on the ingredients. They are then removed from the pot to be chilled in the fridge over night, and served cold with sprinkles of parsley. Long story short: that is how I remember my pig ears growing up. Braised, chilled, and thinly sliced. 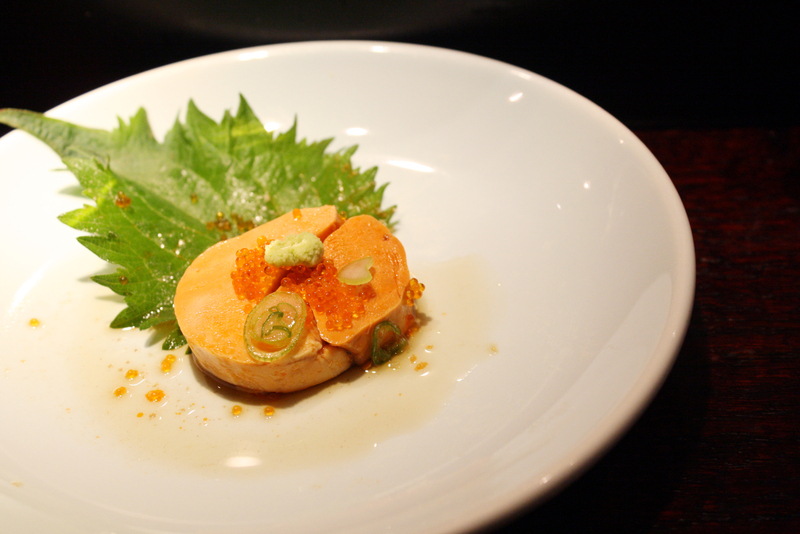 The skin part has the soft yet chewy texture of a tougher jello, with the cartilage in the middle crunchy to bite, soaked in the aroma of sweet soy sauce. It is a fun food!! That said, the fried version, as listed on their menu, was not something I was familiar with. 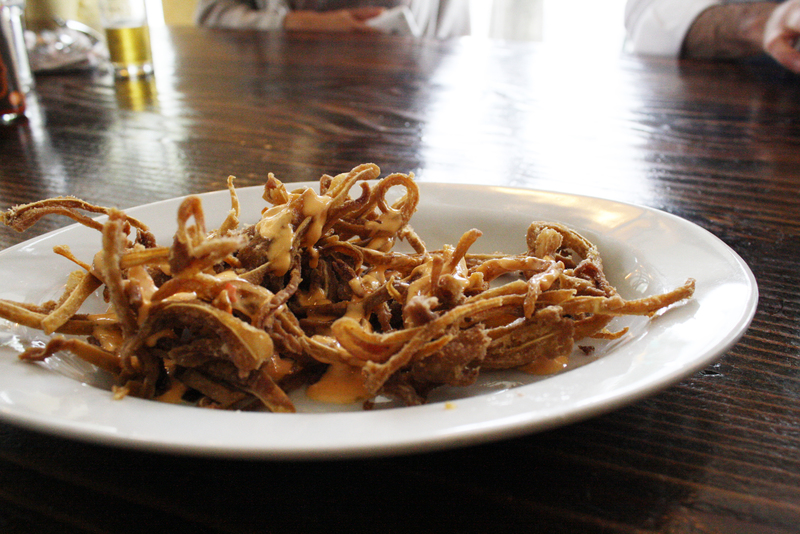 When it was served, the little fried strings of pig ears sat there, topped with a mayonnaise-based buffalo sauce, looking like the baby of curly and shoe-string fries: all oddly curled and tangled. And “bizarre fries” is what I thought to myself when I ate it. The pig ears were breaded then deep fried, forming this brilliantly crisp entrance to the chewy goodness on the inside. Then, as my teeth – as if in slow motion – penetrated the chewy layer, it snapped the thin soft bone on the inside and form that delicious crunchy sound. 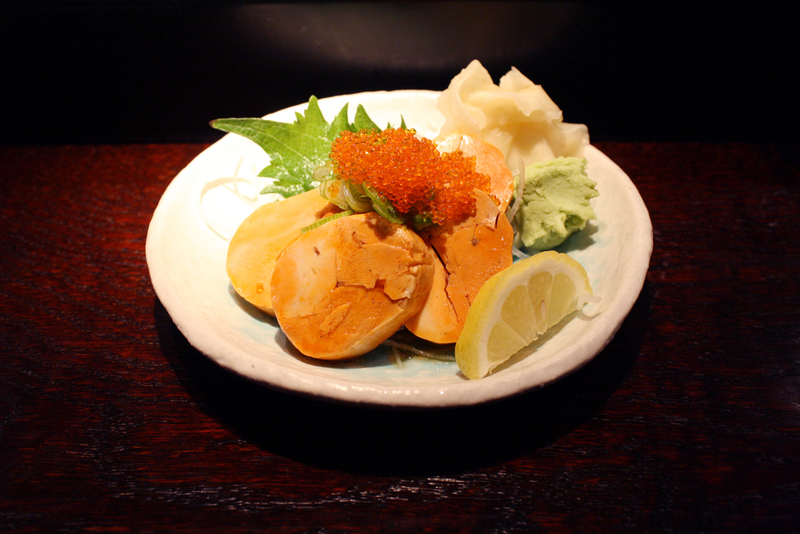 There it is – albeit Americanized and in an aioli, it is still my fun food! It was a perfect marriage too, with my tall glass of Prescription Pale Ale. The slight bitterness in that aromatic beer washed down the deep fry smoothly, returning my mouth into that clean, fried-pig-ears-craving state again. The deep fry treatment suddenly made sense alongside this fuller-bodied beer (Taiwanese beers are really light), how the caramel-like malt flavor compliments! Because I like to see just how many ways I can eat my dishes, I drizzled a bit of Youk’s Hot Sauce for another layer of hot, tangy flavor. 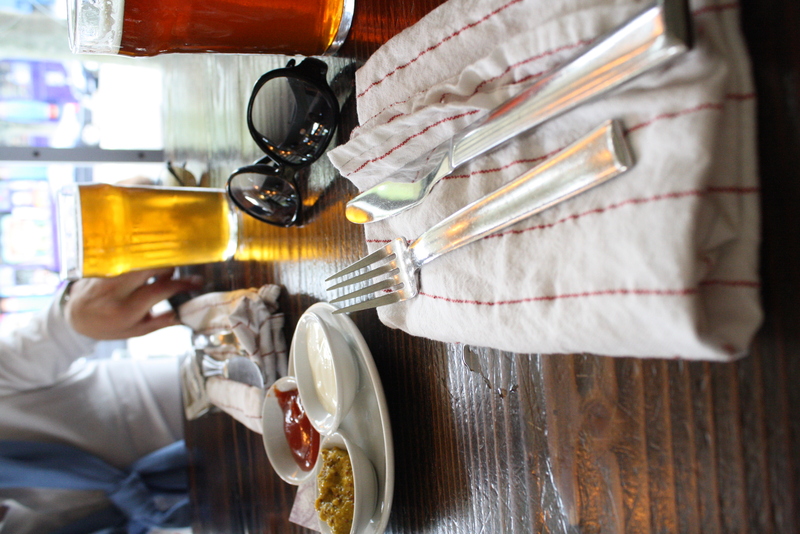 It cuts the fattiness nicely, and, quite frankly, eating at a bar without some form hot sauce is just silly. 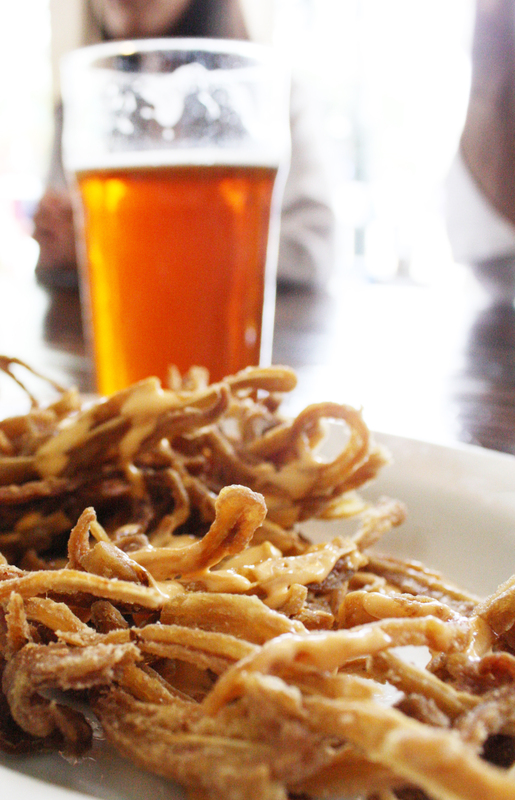 For the grand finale, I took some fried pig ears, paired it with a bite of house pickle, then washed it all down with the remaining of my beer. What a lovely, lovely day. On our way out, I noticed that the couple sitting right behind us got an order of fried pig ears as well. I gave them a mental high-five, secretly wishing that I had inspired them. 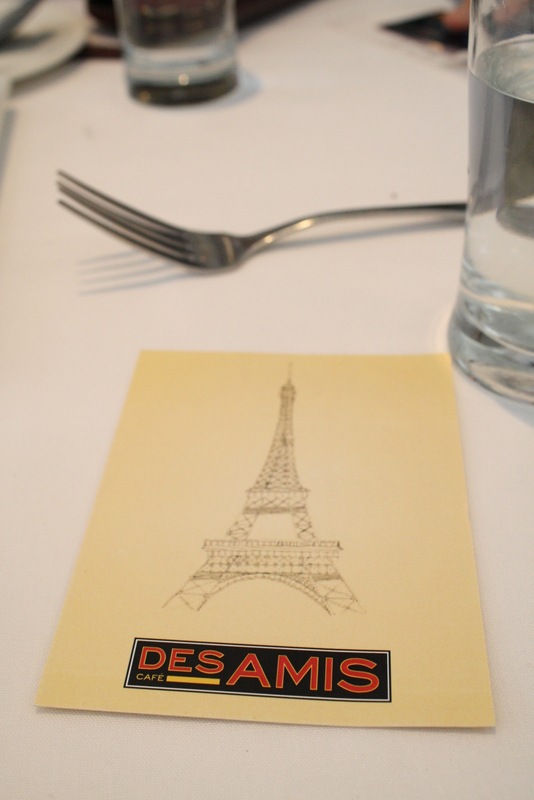 I entered Cafe des Amis looking to enjoy some roasted bone marrow on toasted points and a cool terrine of trotters. It would be savory, delicious, and perfect paired with a nice glass of white on this warm, rare sunny San Francisco day. But alas, Cafe des Amis had failed me. 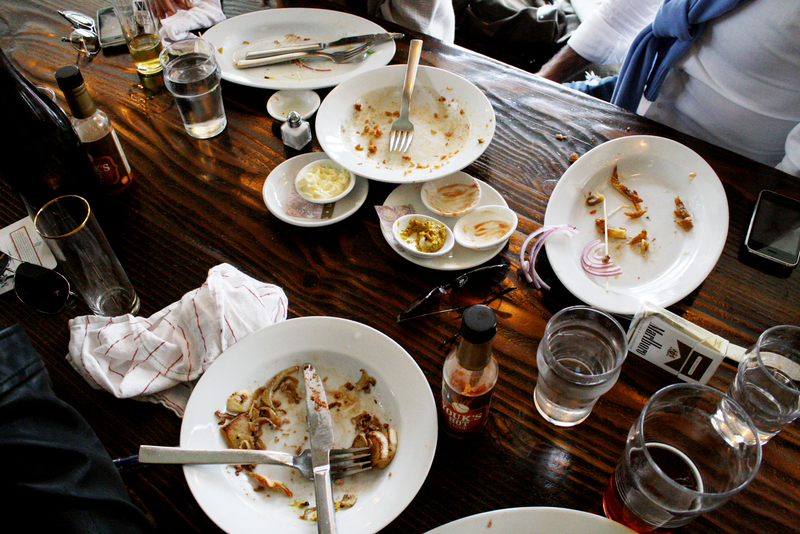 My dream dishes could not be found on their brunch menu, which apparently replaces their lunch menu on weekends. 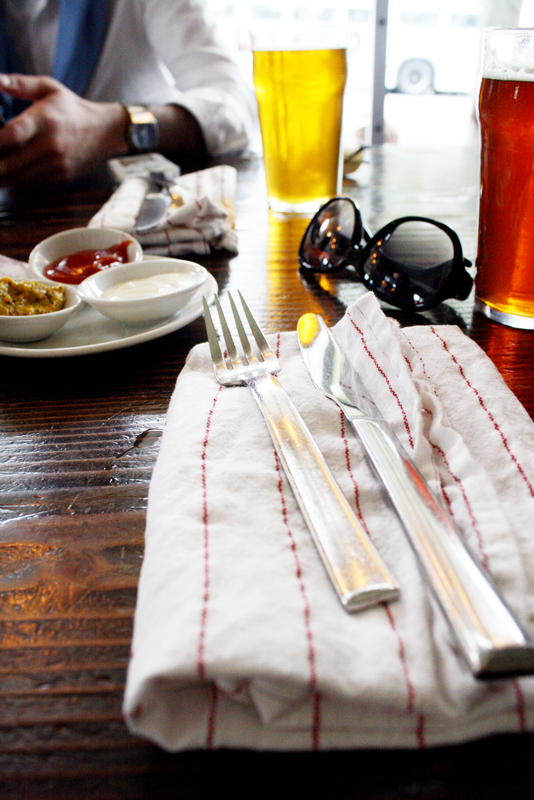 How ridiculous – the French don’t even brunch! Determined to begin my blog despite the little hurtle, I settled for something still slightly odd from the every day chicken and rice/meat and potatoes: an order of pâté de campagne. For many, the word pâté calls for the famously creamy, liver-based pâté de foie gras. Though, pâté really just stands for a mixture of ground meat and fat minced into a spreadable paste, with optional addition(s) of herbs, spices or wine. For pâté de campagne, it is of the French farmhouse variety, usually made of coarsely chopped pork with garlic and herbs. Also known as country pâté. 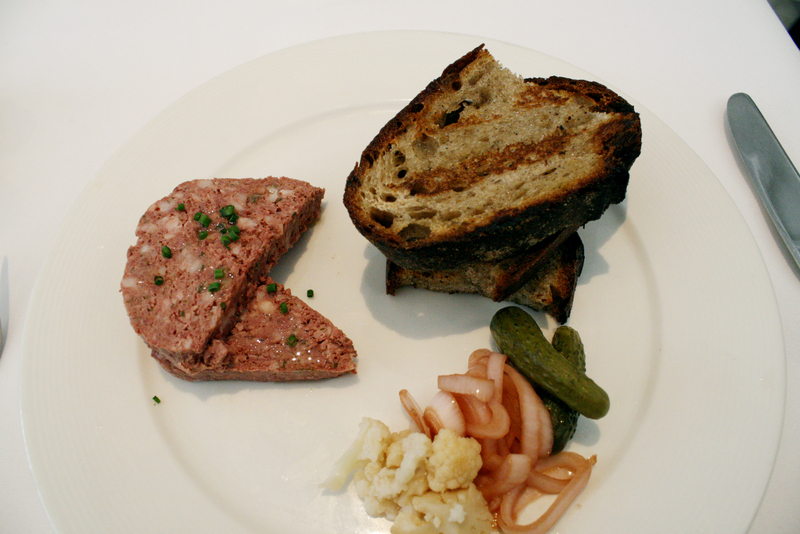 The pâté de campagne at Cafe des Amis was made of pork shoulder. 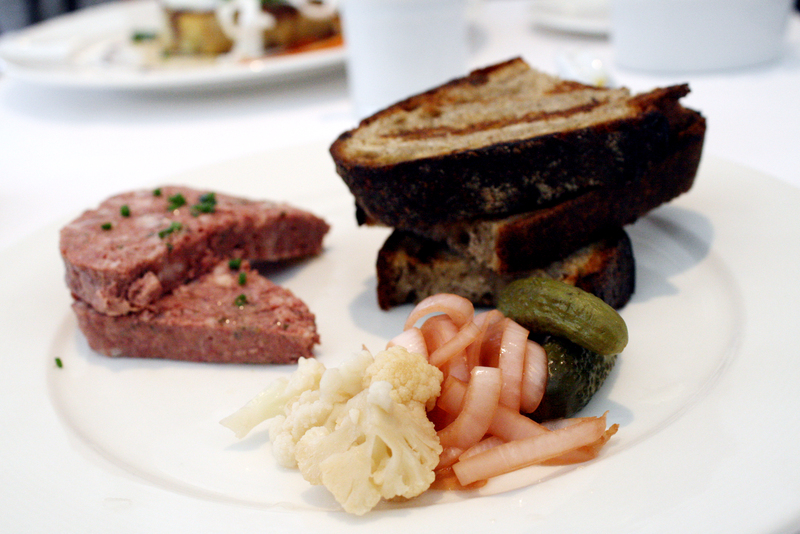 It came with pickled onion, small florets of cauliflower and dill pickles, ready to be spread on slices of warm, buttered toast. The pâté, topped with sprinkles of green chives, was rich and meaty. Tiny white specs of garlic visible within the pink. The taste by itself was almost savory sweet instead of salty. The fat made it perfect to be paired with the pickled goodness. I ate the dish two ways: with pickled cauliflower, then with pickled onion and a small dollop of mustard. The pickled onion, on the other hand, was some of the best pickled onions I’ve had. Equally tangy as the cauliflower but with a subtle sweetness, the little pink slices of heaven (likely pickled with red wine vinegar) packed a nice punch. Topping the pâté with a bite from the mustard, it was a simple yet lively ballad. Oh yum.